"So, tell me about your feelings for your dad" the therapist said to me this morning. My head went all busy. What's the right answer? "Well I love him, but then, grrrr, part of me HATES him"
No one should need to say that about their dad. Or feel that way. But that is how I feel. The following has been sat in my phone for a couple of weeks, I was going to post it but then I thought better of it, but after my first therapy session this morning and the fact that this *still* is a huge issue for me I've realised that I need to just let it all out. I worried incase my dad came across this, or anyone he knows, but why should I keep it in? I have nothing to be ashamed of. I wonder if you ever feel an ounce of guilt for leaving. For never giving us a reason for leaving. For never properly saying goodbye. Just popping home in your lunch break, surprised to see me on the sofa and not at school. Why was I at home? Because I was an emotional wreck that day due to the conversations the previous night. Us trying to find out what you were up to behind our backs. We knew. It might have been ok if you would have just admitted it. Or gave us a reason. But all of the lies. The draining, continuous, draining lies. To just go upstairs, pack black bin bags then say "see you later" to me and leave. As if you'd just packed bedding to take to the dry cleaners. When in reality. You left. Without saying proper goodbye. To then not answer your phone when I called because I knew something was up. That why I checked the wardrobe as soon as you left. For 10 years I've carried around the hurt of that day. For 10 years I've carried around the question "why?". Why did you leave? Why weren't we good enough? Why didn't you say tell us you were going? You didn't even leave a note. We would have just come home from school. Mum would have come home from work and we wouldn't have known until mum would've gone into the wardrobe. I wonder if you are aware, or even care, that you still affect my life. You still hurt me. 10 years of chasing after you trying to keep our relationship intact. Putting up with rejection, psycho girlfriends, weeks of not hearing from you. Hearing all the lies you told your previous girlfriends about your life. You shouldn't have done any of this to me. You want people to pity you. Well I do. But not in the way you want. You had a fantastic life before, you threw it away. You might be happy now but I know what you're really like. It doesn't matter who you're with, as long as you're with someone. We know this is true by the state of your past partners. You can't hurt me like you did anymore. I have the children to occupy my time and make me realise I am worthy and that people do want me in their lives. I will never tell them what you did. Because I don't want them to think badly of you. I don't have to do that you know. I don't have to protect you. You ever, ever, EVER hurt my boys [emotionally] then they will know EXACTLY what you are like. Sometimes I hate that I love you. But that's Unconditional Love for you. 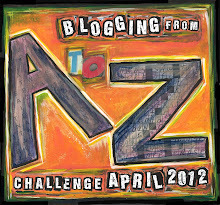 U for the a-z blogger challenge. Unconditional.